XP-82 as a racer ? 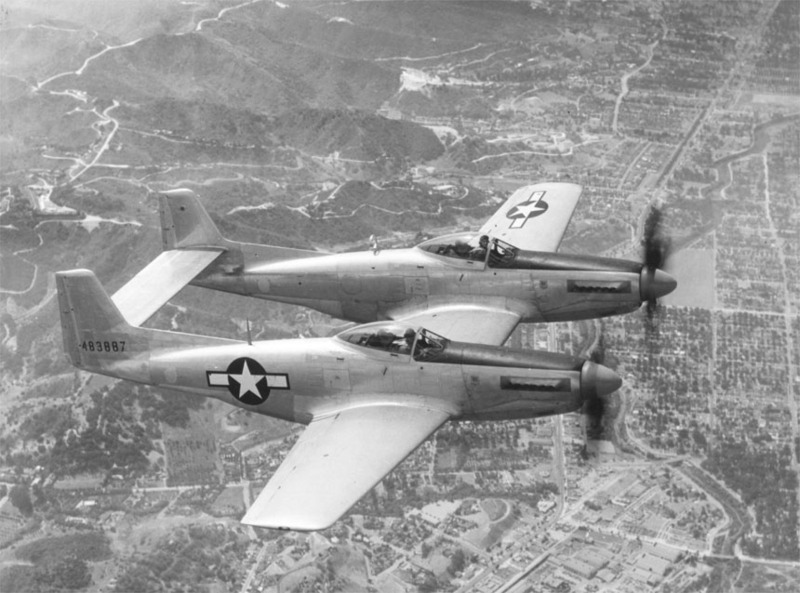 Thread: XP-82 as a racer ? How fast could it be ? Last edited by Jukka; 11-08-2018 at 10:14 PM. Re: XP-82 as a racer ? Ah! The elusive F/P-82 racer dream....Leroy Penhall always thought that would be great. Several others joined in that belief. The fact of the matter is there has never been enough airframes available. So thankfully the extremely few that did exist were spared the modifications. The early P-82 used Packard built Merlin engines, later the P-82 used G6 series Allison engines. Allison powered was 25 mph faster than D model Mustang. Making it 65% scale and two big block Chevys and you can tune 2000 hp out of it. Last edited by Jukka; 11-09-2018 at 07:28 AM. I'm not saying a 65% scale P82 wouldn't be cool, but powering it might be tricky. How about 70% and two Falconairs ? If you look closely above...the P-82 has only 3 common pieces with P-51D. It is entirely new aircraft..in all aspect. Fuselage(s) is closer to H-model Mustang, but isn't. Yes now I got it...might work !